ZENITH Technologies and SEA Vision have formed a global partnership to support pharmaceutical companies with the impending challenge of installing and integrating serialization across drug manufacturing sites. The announcement comes after the two companies completed the worldwide implementation of a serialization deployment to aid the production, packaging and supply chain of one of the world’s top 10 pharmaceutical firms. 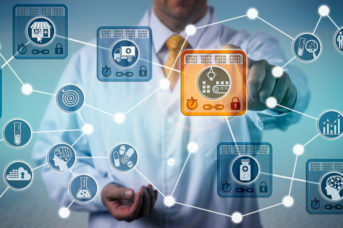 Initially encompassing the US, UK, Ireland and Germany, markets where both companies have a strong presence, the collaboration brings together Italian-based SEA Vision’s serialization software along with global Zenith Technologies’ ability to integrate systems and deliver ongoing technical support at a local level. Jim Lehane, director at Zenith Technologies, said: “We are delighted to have secured the rights to distribute, implement and support SEA Vision’s serialization solution in these key territories. “The partnership enables pharmaceutical manufacturing and packaging companies to utilise SEA Vision’s products with added on-the-ground assistance from our expert engineers to ensure they can deal with the continuous challenge that serialization brings. The deal has been unveiled as drug makers begin to seriously turn their attention to the looming legislation changes. The serialization of licensed drug products will be legally required for companies in the EU from 2019 as per the EU Falsified Medicines Directive (EUFMD) Safety Features Delegated Regulation and from November 2017 in accordance with the US Drug Supply Chain Security Act (DSCSA). Marco Baietti, commercial director at SEA Vision, said: “As a business, we are 100% focused in the pharmaceutical space and are committed to helping companies deal with the challenge of serialization. “Following the announcement of the timing for the legislation changes, we have experienced a wave of requests from tier two and three pharma companies. 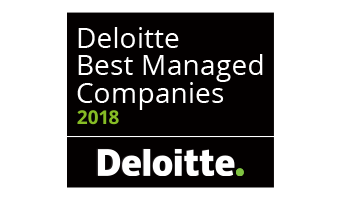 This collaboration is therefore designed to give these firms the tools and skills they require to confidently introduce new systems well ahead of the deadlines. Aside from traditional pharmaceutical companies producing bulk API and finished licensed products, the partnership will also assist contract manufacturing organisations (CMOs) that also need to adapt to the regulations. Headquartered in Cork and with 14 offices globally, Zenith Technologies is one of the leading companies in delivering manufacturing software systems that enable life science businesses to be compliant and competitive. SEA Vision, located in Pavia, close to Milan, with subsidiaries in France, Spain and Brazil, was set up in 1995 as a producer of vision systems for the pharmaceutical industry, with the aim to meet control requirements on packaging lines. To date, the company has successfully supplied over 250 complete track and trace systems worldwide. 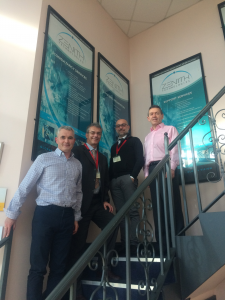 Picture caption: Jim Lehane, director of MES & NBI at Zenith Technologies, Marco Baietti, commercial director, SEA Vision, Stefano Cobelli, sales director, SEA Vision and Dominic Galvin, chief financial officer, Zenith Technologies.